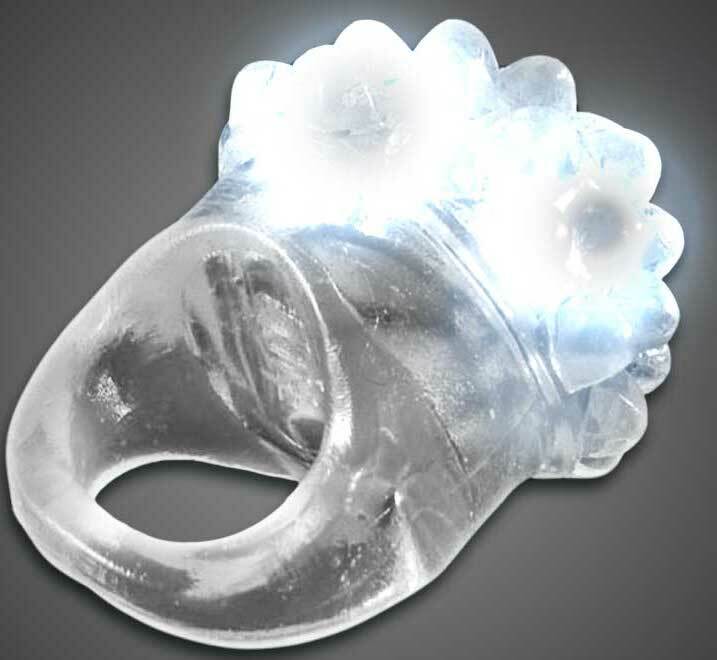 We have quite an exclusive ring for you! 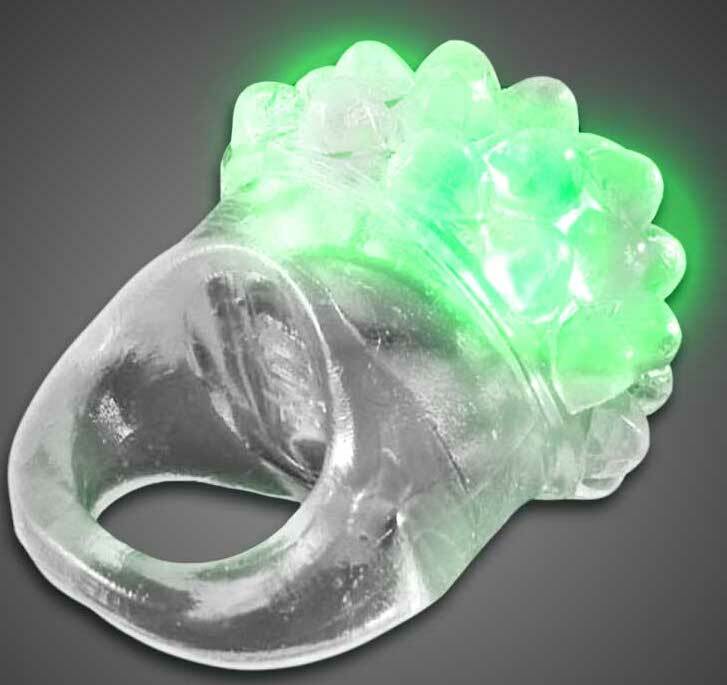 If you've seen these rings before, you most likely have seen ones that are solid colored and have lights that DON'T match the color of the ring. We don't think those look very nice and we have the perfect solution to that! And that is these rings are clear with bright, powerful colored LED lights inside of them so the ring actually looks like it's the correct color! Available in red, green, blue, pink, or white, we have colors that are perfect for any occasion! Get red for Valentines or Halloween. Get green for St. Patrick's Day. Blue and pink are great to help raise awareness of things like autism and breast cancer. Going to a white party? We have you covered with that as well! Or if you need more than just one color, you can choose that too! 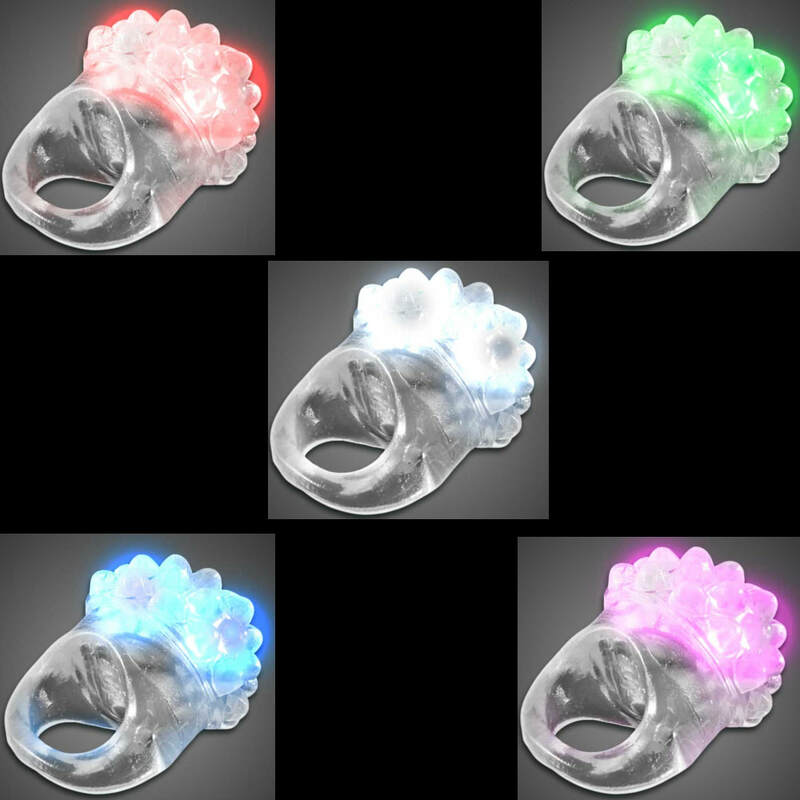 For just 10 bucks, you get 5 super awesome and very beautiful rings in a style that you won't find anywhere else!